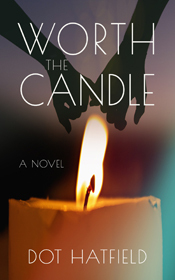 Tandy Anderson didn’t even believe in love at first sight – until it happened to her. She knew from the beginning the situation was impossible. For one thing, she didn’t have time to get involved in a relationship. Her demanding job with Child Protective Services required a tremendous amount of energy. In fact just this morning she received a call that a six-year-old child on her watch went missing. Mike Blanchard felt sure Tandy Anderson would not fit into his future plans. He needed someone who could be supportive and understanding about his calling. There would be times when his work took priority over everything else. He needed to choose his life partner carefully. There was no way it could ever work out. Was it worth a try?